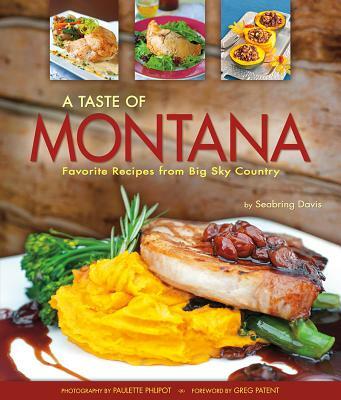 Farcountry Press and Seabring Davis invite you to sample Montana's definitive cuisine in A Taste of Montana: Favorite Recipes from Big Sky Country. Davis has compiled 109 recipes from Montana's finest restaurants, resorts, guest ranches, and bed-and-breakfasts. Mouthwatering color photographs by awarding winning photographer Paulette Phlipot complement the delectable recipes. A Taste of Montana includes classic western dishes as well as contemporary cuisine, and, of course, recipes featuring the famous Montana huckleberry. Feast on dishes like Elk Sausage Scramble, Bison Chili, Butte Irish Pasties, Huckleberry-Sour Cream Coffee Cake, and Rustic Flathead Cherry Tart. Davis shares her experiences traveling the nation's fourth largest state visiting chefs, and brings you recipes easy to prepare at home using local, sustainably grown ingredients.